This will be a 36hr TIER 1 OBUA COMBAT OPERATION. All operators are to be complete on site no later than 22.30hrs on Friday. No arrivals before 18.00hrs. Teams arriving later will have to notify TIER 1 prior to this event. Safety and administrational briefs will take place on Friday evening at 23.30hrs. Thereafter opposing forces will move to their respective tactical assembly areas (TAA) and await intelligence briefs and initial orders. This will be followed by confirmatory orders for the relevant elements and team leaders. All operators will be in the correct sections and will have been allocated radios to communicate with your command elements by 01.00am. From this point on, there will not be a safezone in operation until END EX and the event will only stop for an emergency. ALL elements will deploy onto the ground in the early hours of Saturday morning. Please Note: Alcohol is NOT allowed on site under any circumstances. Failure to comply will result in removal from the site. This is an MoD directive. Al Qaeda terrorist cells: 20 places. Uniform Requirements: Traditional / local / Paramilitary dress. You should be thinking tactically in terms of your clothes and their colours. No Multicam, Desert, Desert MARPAT, AOR 1. You will be asked to change out of them. Please no baseball caps! Special Operations Forces: United States Naval Special Warfare Development Group (NSWDG) – DEVGRU – 20 places. US RANGERS Bravo Company, 3rd Battalion, 75th Ranger Regiment – 40 places. Uniform Requirements: Multicam, Desert, Desert MARPAT, AOR 1. Players will be required to bring the right kit to last the duration in the village – tactically. (see our TIER 1 kit list recommendations). You will need to bring all your own food and water and the means to cook with. You will have to carry with you everything you need into the village. ie. In a bergen / deployment bag. We will provide squad and platoon level radios for both sides – inter-squad radios – you will need to bring yourself. THERE WILL NOT BE ANY REGENS IN PLAY. MEDIC RULES WILL APPLY THROUGHOUT. THE GAME WILL RUN FROM FRIDAY NIGHT UNTIL SUNDAY LUNCHTIME. ALL REST AND FOOD REQUIREMENTS WILL NEED TO BE UNDERTAKEN TACTICALLY THROUGHOUT THIS EVENT. Is MTP acceptable for the DEVGRU/Army Rangers team 'cos I'd love to get on this. I'd also like to know your stance on MTP. MTP is good to go and L85A2. Please book on ASAP to secure your place on the BLUE Force - These places go very quickly. Following Operation LOCKDOWN in the Bostanlik District - Tashkent Province - Uzbekistan, The CIA SAD team and A Squadron, 1st Special Forces Operational Detachment-Delta (1st SFOD-D) were unsuccessful in preventing an embedded group of Pakistani Taliban (TTP) prisoners from causing a prison riot and subsequent mass break out of their detainee compounds within the CIA Black Site: Camp Bravo at Badak Fort. As this was taking place, a group of highly trained Al Qaeda (AQ) fighters assaulted the fort from the outside and were able to gain entry and secure an armoury successfully arming the now free TTP. The two groups were able free the AQ High Value Detainee - Mullah Nazim Kumair. AKA The Panther - after months of incarceration. This was part of a detailed plan that had been in the making for weeks. The final confirmation of Mullah Nazim Kumair's whereabouts was delivered by the high ranking AQ courier Rizwan prior to his detention by the Pakistani Inter-Services-Intelligence (ISI) agency January 2013. The plan was to free or silence Kumair from the clutches of the CIA, who after suffering months of enhanced interrogation and torture, had given up many names of interest to the CIA and their whereabouts. Several successful Kill / Capture operations by US SOF followed and were a direct result of the information Kumair had divulged. One piece of information the CIA had been working tirelessly on to extract from Kumair was the location of an unknown quantity of "Yellow Rain" - The russian made chemical agent T-2 mycotoxin - This can and has been used as a weapon of mass destruction in several theatres of war. Kumair is confirmed to have had access to the chemical agent before he hid it in Pakistan during Operation SNAKEBITE April 2011. No one has seen or heard of its whereabouts since, but the belief is that it is still somewhere in the Yasin Valley North Western Pakistan. Only one name has been released by Kumair to the CIA in relation to Yellow Rain during his interrogation - Farir Rizwan. Rizwan has been high on the wanted list of the CIA for some time now and he is confirmed as a high ranking AQ courier. Rizwan had been under surveillance by a CIA SAD team for several months - Element Razor had lost Rizwan for a short while after Operation BORDERLINE in Pakistan. However, Razor picked up the trail again in the Esahulat Township Chitral Pakistan. Razor was able to follow Rizwan to the Odegram Stadium in Shazadi Pakistan where he was seemingly arrested by uniformed Pakistani Police officers at a vehicle checkpoint. It is now known that it was ISI agents that detained Rizwan and have moved him to a safehouse somewhere in the Chitral District, situated on the western bank of the Kunar River, in Khyber Pakhtunkhwa, Pakistan. The CIA now consider Rizwan as extremely important and want him in US custody ASAP. The very real threat of a quantity of Yellow Rain being brought into the equation now that Kumair is free is not a risk they are willing to consider. It is now a race against the clock to find out where this chemical agent is cached. A huge intelligence effort is now dedicated to locating that safehouse and Rizwan's whereabouts. The ISI deny all knowledge that they have Rizwan, but suggest a rogue element within their organisation sympathetic to AQ may be behind this. The CIA have looked at all other avenues of approach, but end up with only one viable solution should they locate the safehouse. Further information to follow in the form of a Target Development Package via secure means. I was on White Knight, which was great and I'm looking forward to another T1 event. Rizwan and his lads will get their arses handed to them this time! Just a quick question; would I be permitted to wear my US Marshals loadout? I'm on the DEVGRU side but really want to give it an outing in a Milsim environment, thought it might add a bit of variety to the usual SEALs and Rangers vs Taliban and AQ!! 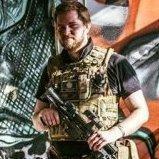 Can you email me a small breakdown of their roles and responsibilities as you see it in a combat environment and I will see if we can get it into the scenario for you. BLUE Force booking is temporarily suspended as we are top heavy on this side and nearly FULL! Calling all RED Force Insurgent Players - WE NEED YOU! If you sign up and book online before 22 March 2013, we can offer you a discounted rate of £75 - RED Force ONLY.